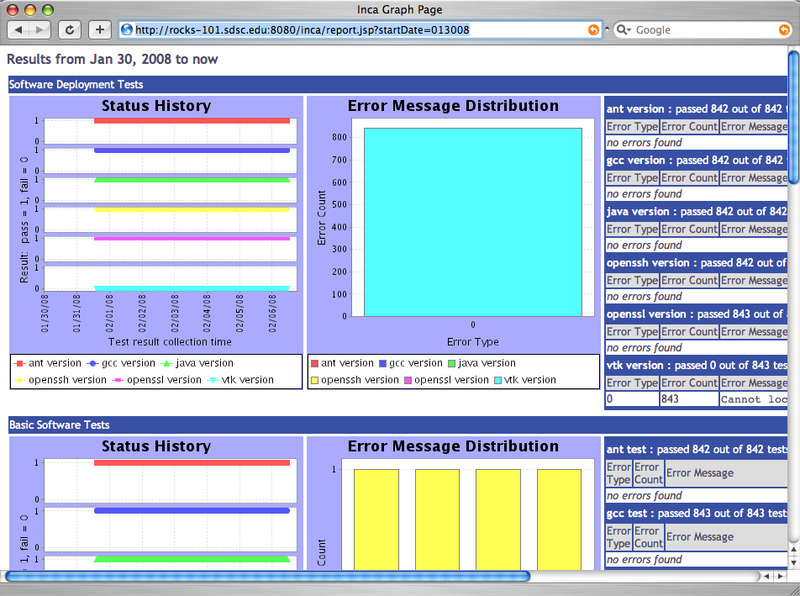 The data that the Inca depot stores can be displayed in many ways, such as current status reports, historical graphs, and customized status information. 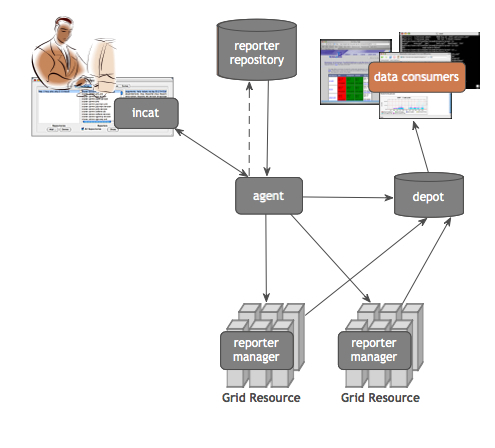 An Inca data consumer is anything that retrieves data from the depot and displays it (e.g. a JSP, SQL query, CGI, etc.). The Inca depot provides access to stored data via Perl and Java client APIs (see Section 8). 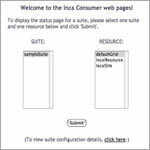 The data consumer packaged with Inca is a collection of JavaServer Pages (JSP) and associated files. The consumer is installed in $INCA_DIST/webapps/inca and is deployed with Jetty when the consumer is started (e.g., ./bin/inca start consumer). The consumer listens on ports 8080 (HTTP) and 8443 (HTTPS) unless $INCA_DIST/etc/jetty.xml is edited as described in Section 6.8. The default consumer's JSPs query the depot for XML results and either apply XSL to them in order to display HTML status pages or parse out data and display it in graphs. The figure below shows the default menu header. Each menu item invokes a JSP as described in the sections below. 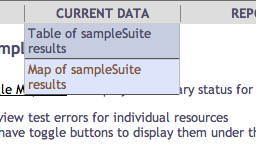 The default page header navigation contains links to tabular and map view result summaries for the sample suite. To add other current data pages under this heading (e.g., result summary tables for additional suites), customize the header.xsl file as described in Section 6.6.3. The second item in the CURRENT DATA menu executes status.jsp using google.xsl to display a map that provides a summary of the current status of resources. For each resource, the map view gives the percentage of reports passed, number of passed reports, number of failed reports, and a list of the failed tests with a link to each report details page. A resource is represented on the map as a marker and colored red, green, or orange based on the number of tests that have passed and/or failed. The figure below shows the Inca Google map view for the NEON testbed (four resources at SDSC and one resource at James Reserve). 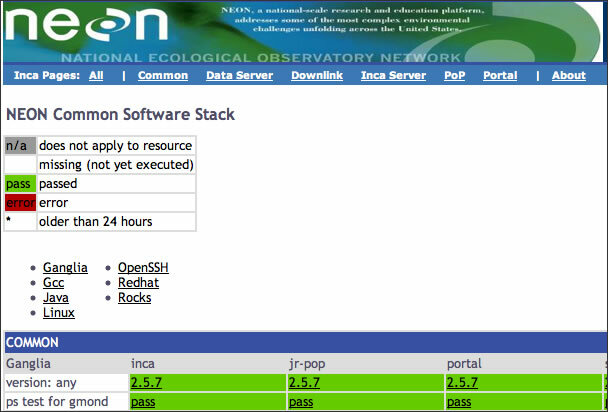 All resources are passing their tests, so every resource marker is green. 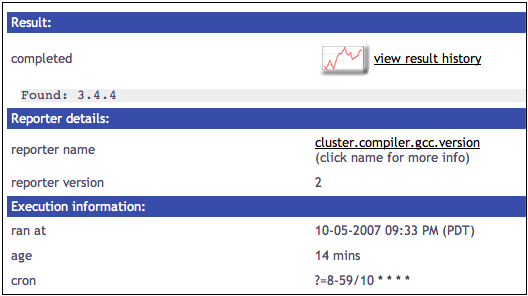 Clicking on a marker displays a pop-up with the name of the resource and its status information as show below. Clicking on the "Toggle ping status" button displays the status of the cross-site ping test as show below. 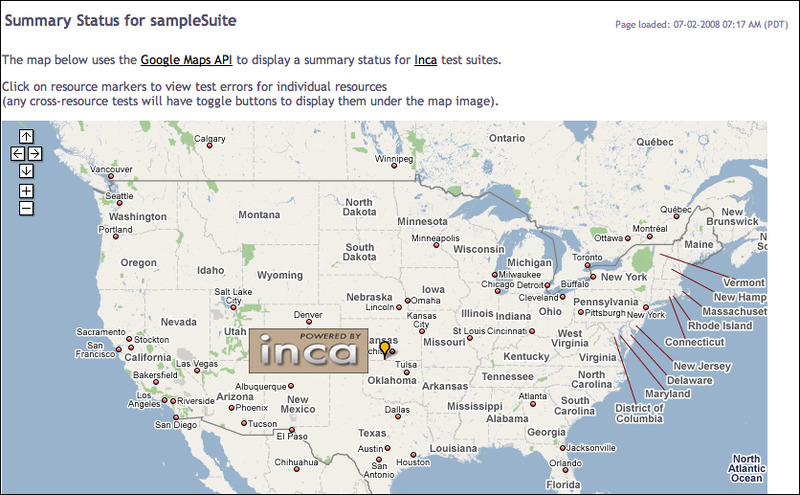 To access the map view, you need to install a Google Maps API key in your Inca consumer. To generate one, go the Google Maps API web page at http://www.google.com/apis/maps/signup.html, type "http://yourHost:8080" in the "My web site URL" text box, then click the "Generate API key" button. A new page will display a key for your server that looks something like "ABQIAAAA_4IHDoSvxQqISMa1RKFLQBSSlCzupJMr-Xoh__duR37DAX9UVBRVn9-X9_4ILpmvilr4hN-QZU8pNQ". Copy this key, then edit line 9 of $INCA_DIST/webapps/inca/xml/google.xml. Replace "Insert key here" with your new Google Maps API key as below and save the file. The second step in preparing the map view is to tell the map generator the locations of your resources. Edit $INCA_DIST/webapps/inca/xml/google.xml and find the <site> tag on lines 80 to 111. For each resource, provide a site name using the <name> tag, latitude/longitude coordinates using the <latitude> and <longitude> tags, and a list of resource names at a site using the <resource> tag. 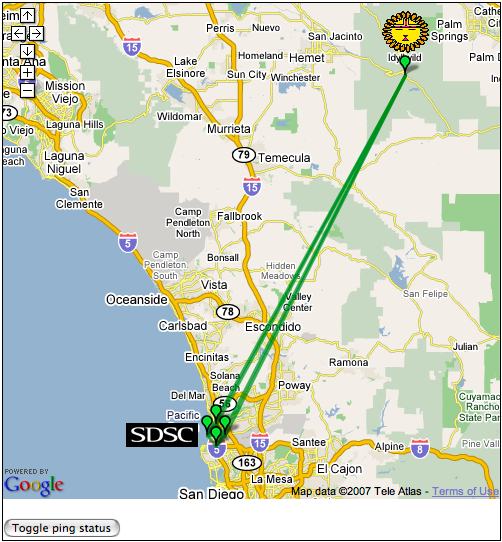 Online tools like CAIDA's NetGeo script can convert the IP addresses of your resources to latitude/longitude. Optionally, you can also specify a logo for the site using the <logo> tag. 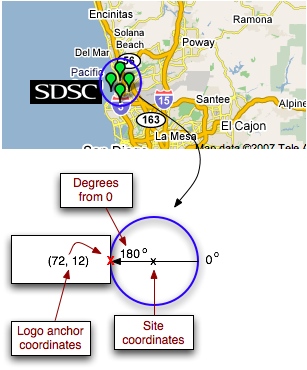 Specify the size of the logo (<width> and <height>), angle from 0 degrees (<angle>), and logo anchor coordinates (<logoAnchorX>, <logoAnchorY>) as shown in the figure below. Once setup is complete, load the map view by selecting the "Map of sampleSuite results" item of the CURRENT DATA menu in the navigation bar. In the default installation, this links to http://localhost:8080/inca/jsp/status.jsp?xsl=google.xsl&xml=google.xml&suiteNames=sampleSuite&resourceIds=defaultGrid. 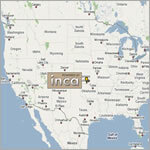 This shows one resource and the Inca logo, similar to the map below. The resource status for multiple suites can be shown by editing header.xsl to provide comma-delimited lists for status.jsp's suiteNames and resourceIds parameters. Clicking on the resource marker will display an info box as below. Clicking on the name of any failed test will take you to the reporter details page. 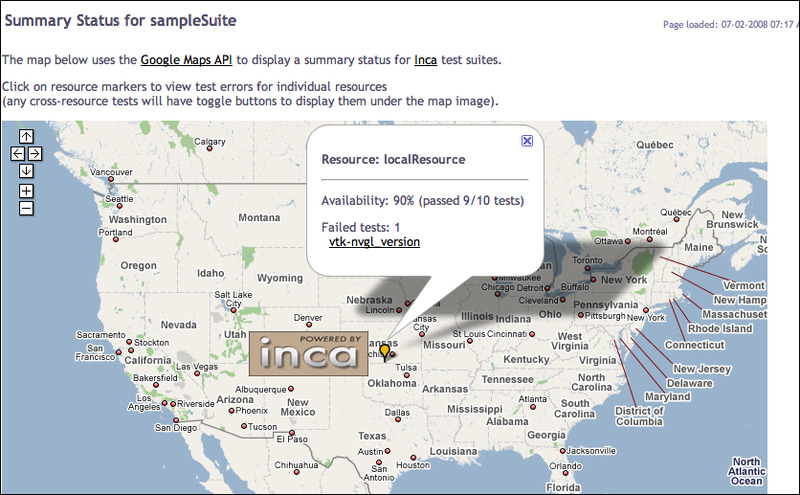 The configuration information for the Google Map View is located in $INCA_DIST/webapps/inca/xml/google.xml; you can edit this file to customize your Google display. Below is a list of customizations you can make. The size of the Google map can be customized using the <width> and <height> tags on lines 14-15. By default the map is 800x500. The center of the map is expressed in latitude/longitude coordinates on lines 18-21. By default, the center of the map corresponds to the center of the U.S. The initial magnification, or zoom level, of the map is expressed as a number between 1 and 12, located on line 24. Zoom level 1 displays the entire world, while zoom level 12 allows you to read street names. If there is more than one resource at a particular site, the resource markers will be arranged in a circle around the site center. By default, the distance between the markers will be determined so that the markers do not overlap each other. To change the distance between the markers (expressed in latitude/longitude), uncomment the <markerDist> tag on line 29. If there are more than fifteen errors at a resource, only the first fifteen errors will be displayed in the info window that is displayed when a resource is clicked. To override, edit the <maxErrors> tag on line 33. If a suite contains a cross-site test, a button will be displayed below the map named "Toggle <testName> status". When the button is clicked, the status of an individual cross-site test will be expressed as a line in between the source resource and the destination resource. The color of the line used to represent the test status can be customized. By default, green represents the test passed and red represents the test failed. To change, edit lines 37-40. The items in the REPORTS menu display graphic reports of current Inca data and series histories. These graphs are generated using Cewolf, a JSP tag library for graphing based on JFreeChart. Some reports require the "incaQueryStatus" query to have run previously; information about queries can be found in Section 6.3.3. 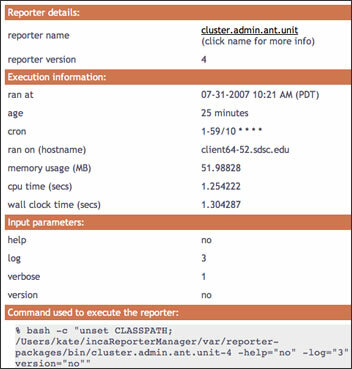 The first item in the REPORTS menu executes report.jsp, which uses CeWolf/JfreeChart, to generate historical summary reports with pass/fail status and error information. 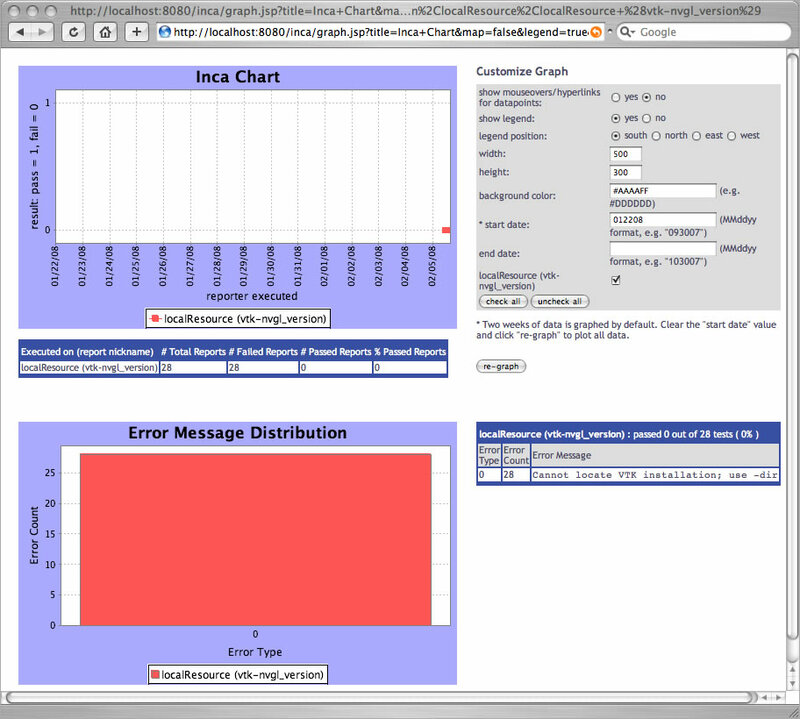 You can edit the file $INCA_DIST/webapps/inca/xml/statusReport.xml to change the look and contents of this report. The default consumer groups different combinations of sampleSuite series and displays the past two weeks of results. Each set of series has a title (e.g., Software Deployment Tests) for its grouping and the series nickname, resource name, and report label for each series in the group. The second item in the REPORTS menu executes summary.jsp, which uses CeWolf/JfreeChart and stylesheets seriesAverages.xsl and periodAverages.xsl to show the average series pass rate by resource and suite for the past week. Each bar label shows the value of the average series pass rate for the last week and the difference in percentage from the previous week. The color is green if the average pass rate is better than the previous week, red if the average pass rate is worse, and gray if there was no change. Individual bars can be clicked on to show the percentages broken down further for each individual resource or suite. Click on any bar to view a more detailed report for that resource or suite. 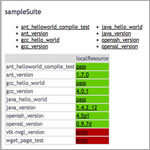 For example, clicking on the bar for the 'app-support.teragrid.org-4.0.0' suite above shows the average pass rates for the 'app-support.teragrid.org-4.0.0' suite for each resource (figure below). The third item in the REPORTS menu executes status.jsp with seriesSummary.xsl to summarize test series errors by time period. Each time period includes the number of errors for the series during the time period, the number of unique or distinct errors during the period, and the percentage of the total results that passed during the period. The change between the total number of errors in the most recent period and the total number of errors in the period before it is also given. If the number of errors in the most recent period is greater than the number of errors in the previous period (+), the number appears in red. If the number of errors in the most recent period is less than the number in the previous period (-), the number is green. The time periods and titles (i.e., PAST 4 WEEKS) can be customized in $INCA_DIST/webapps/xml/weekSummary.xml. 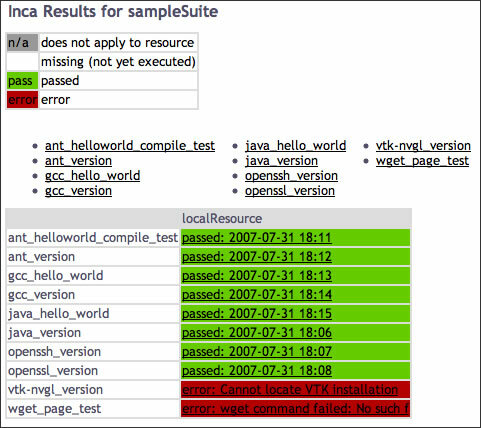 The fourth and fifth items in the REPORTS menu execute summaryHistory.jsp, which uses CeWolf/JfreeChart and stylesheets seriesAverages.xsl and periodAverages.xsl to show the average series pass rate over time grouped by resource and suite. The amount of history shown is 4 weeks by default but can be modified by editing the 'incaQueryStatus' query parameters described in Section 6.3.3. 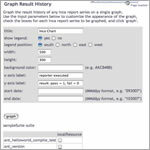 The query pages allow users to generate graphs and cache queries to improve data display. 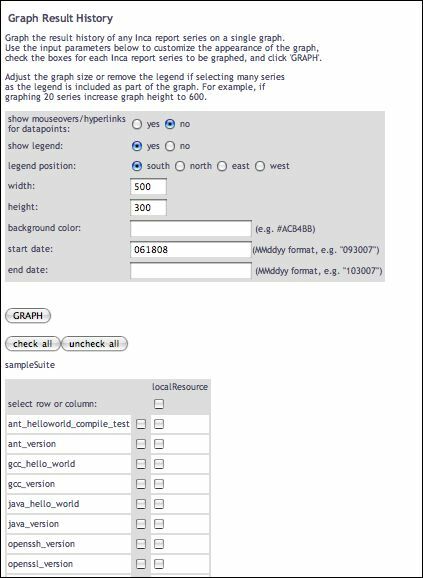 The first item of the QUERY menu executes status.jsp with graph.xsl to create a form that allows you to graph the history of more than one series. 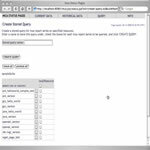 The form allows you select the set of series of interest via a set of checkboxes. 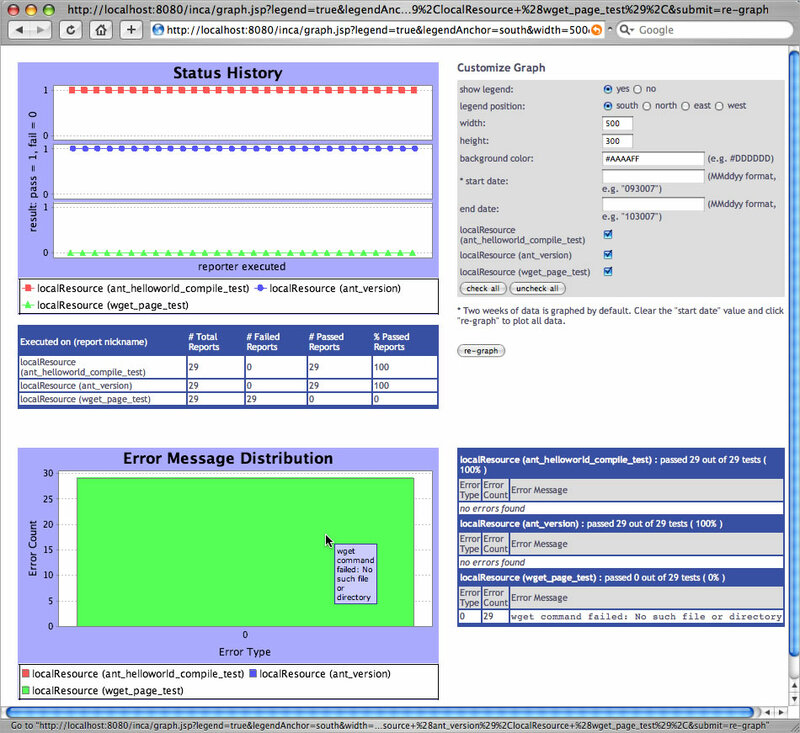 After selecting the "vtk-nvgl_version" series and clicking on the "graph" button in the form above, a graph page similar to the one below is shown with an XY plot of the pass/fail status of the selected series, a series pass/fail summary table, a bar graph of error message frequency (if the selected series have errors), a summary table of error messages, and a form to customize the graph further. Only two weeks of data are returned initially. To query for all results, clear the "start date" field in the "customize graph" section and click "re-graph". To retrieve graphs more quickly, data point mouseover text and links to report details are turned off for the pass/fail graph. The data points can be made interactive by choosing "show mouseovers/hyperlinks" in the "customize graph" section and clicking on "re-graph". Clicking on interactive data points will lead to report details pages, mousing over them will show collection times and any error messages. Multiple series can also be graphed together as in the image below. A table under each graph summarizes results for each series. Graph pages for individual series are also linked from the report details pages. The second item in the QUERY menu executes status.jsp with create-query.xsl to provide a form for creating a cached query. Unless password protection has been disabled as described in Section 6.11, selecting this item causes the consumer to prompt for an id and password. The consumer can cache frequently executed depot queries in order to improve data display speed. 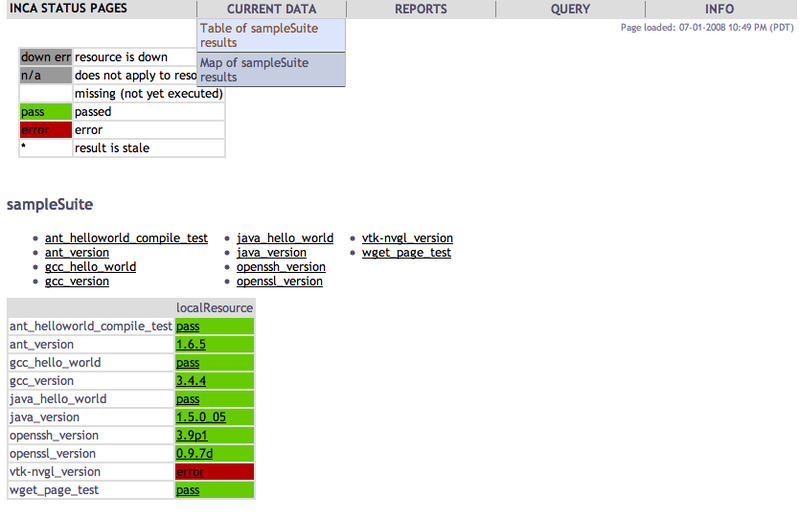 For example, the latest results for a suite can be cached in order to quickly display a suite status page. By default the latest results for the sampleSuite are cached every 2 minutes. Results are also cached each day for historical reports. 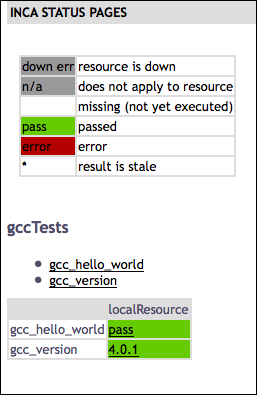 Cached queries can be used to display custom tables of latest results, using the queryNames parameter to status.jsp For example, the image below shows the creation of a cached query, named gccTests, for two series in the default installation. 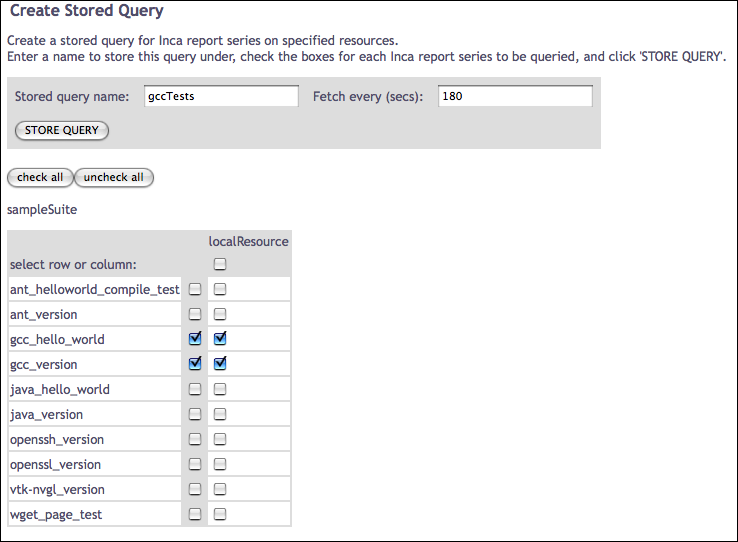 The third item in the QUERY menu executes query.jsp to allow management of cached queries. Unless password protection has been disabled as described in Section 6.11, selecting this item causes the consumer to prompt for an id and password. Click on one of the pre-defined queries to see its parameters. Each query has a name, execution schedule, depot command it executes and the parameters for the depot command executed. By default, the latest instances of all suites are cached every 2 minutes by predefined queries named incaQueryLatest+agentUri_suiteName. These cached queries are used for the CURRENT DATA menu views described in Section 6.1. Another default query is "incaQueryStatus" which retrieves a summary of the number of successes and failures for each series for the past 4 weeks. This cached query is used for the several of the reports described in Section 6.2. To display 10 weeks of history instead, modify "28" days to "70" and click "Change". Note that the consumer will automatically re-create any of these default queries that are deleted. 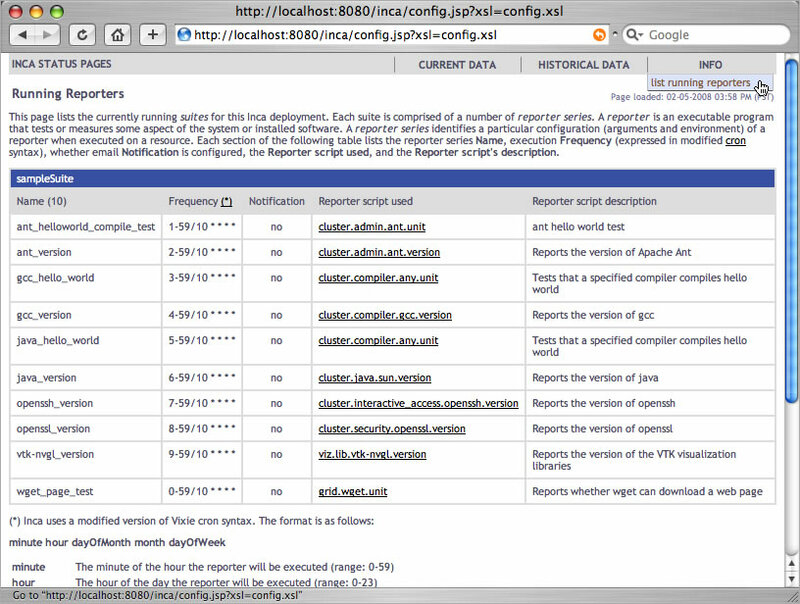 Currently the only INFO menu item displays a list of all running reporters in an inca deployment. To link other informational pages under this heading, customize the header.xsl file as described in Section 6.6.3. Note that the links to the reporter scripts rely on a CGI script and so will not work if you have a local repository (as deployed in the default installation). You will need to a web accessible reporter repository as described in Section 7.3 to activate the reporter links. The following table describes the main JSPs contained in the default consumer. The JSPs generally retrieve XML from depot and agent functions and apply XSL stylesheets to display HTML. If the "debug=1" parameter for a JSP is used, the JSP displays the XML. Parameters marked with an asterisk (*) are optional. Prints Inca error message page. Historical graphs of pass/fail status and error frequency. Lists an installation's configured suites and resource names in an HTML form whose action is to display results for the selected suite and resource. The consumer initially redirects to this page. 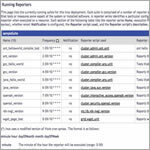 Queries depot for report instance and invokes the specified xsl stylesheet on it. Page for managing stored queries in the Consumer. Queries can be added, deleted, changed, viewed or executed (and return XML). This jsp page manages the query manipulation via jsp tags and leaves the display of the current queries to a stylesheet. Summary report with graphs of pass/fail status and error frequency. Displays current results for a set of suites or cached queries. 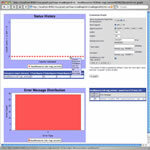 This page is the action of the index.jsp form to display suite results. suiteNames *: a comma separated list of suite names. At least one suite name is required if queryNames is empty and the number of suite names should match the number of resourceIds. A suite name is optional if queryNames is provided. queryNames *: a comma separated list of cached query names. At least one name is required if suiteNames is empty. 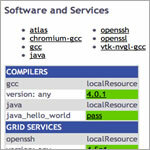 resourceIds *: a comma separated list of resource group ids. At least one resource id is required if suiteNames is not empty and the number of resourceIds should match the number of suiteNames. A resource id is optional if queryNames is provided. xml *: a comma separated list of xml files to include. Can be empty, contain one xml file or must match number of suiteNames and resourceIds if queryNames is empty. Shows the average series pass rate by resource and by suite for a given time period. Uses seriesAverages.xsl and periodAverages.xsl to calculate statistics. 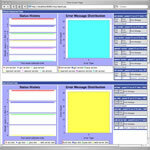 Displays summary statistic details for resource or suite. Linked from summary.jsp. Uses seriesAverages.xsl and periodAverages.xsl to calculate statistics. Displays average series pass rate by filter. Uses seriesAverages.xsl and periodAverages.xsl to calculate statistics. Prints description of deployed suites and series. Prints form to select series and resources to query. Prints table of suite(s) results. 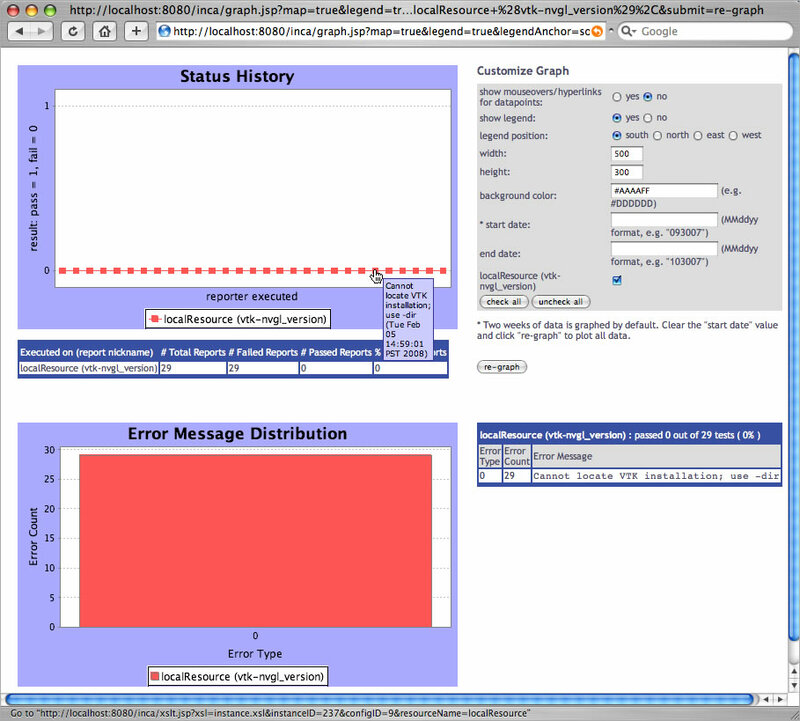 Displays JSP error message and usage information. Prints HTML page footer with the Inca logo. Prints google map summary of current data. Prints form to select series to graph. Common templates for use in Inca stylesheets. Lists all configured suite and resource names in an HTML form whose action is to display results for the selected suite and resource. Prints HTML table with report details. Prints a key to cell colors and text. Computes pass percentage for suites and resources for a given period. 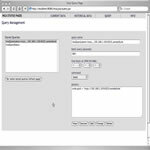 Creates form to manipulate hql queries. Print out a table of stats for individual series. Prints table of suite(s) results. Uses XML file to format table rows by software categories and packages. For general information, visit the [ CSS tutorial ]. To modify the default HTML layout, edit the XSL stylesheet that is being applied to the JSP or create a new stylesheet in in $INCA_DIST/webapps/inca/xsl and pass it in the JSP "xsl" parameter. The default JSP and XSL files are described in Section 6.5. For general information about editing stylesheets, visit the [ XSL tutorial ]. To display report values other than the default text of either a software version, "pass", or "error" on the suite results pages, edit default.xsl. Any other link can be added or removed as a list element. The stylesheet supports additional levels of nested list links. Note that the top level list elements are displayed from bottom to top (i.e., CURRENT DATA is listed last in header.xsl but it is displayed further left than REPORTS and INFO in the navigation bar). Copy the incaInstall.sh script to the machine where the consumer will run. By default, the consumer is configured as both an HTTP and HTTPS server. To disable HTTP, edit $INCA_DIST/etc/jetty.xml and comment out the section "Add a HTTP listener on port 8080"
By default, a password is only required on the query.jsp and status-auth.jsp pages. To expand or remove password protection, edit the section 'require authentication on specific status pages' in $INCA_DIST/webapps/inca/WEB-INF/web.xml. 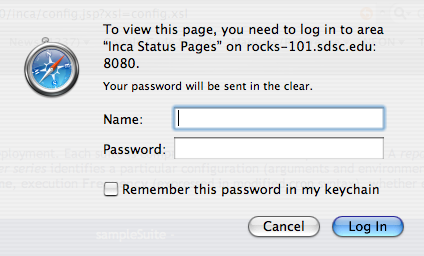 By default, the username and password for the pages will be "inca". To change this, edit $INCA_DIST/etc/realm.properties and customize the username and password for your installation. If you do not want to store the password in plain text, use Jetty's password utility described in Section 6.10.